After a long absence it’s time to get back to our Top Ten. It must be a good idea, even Kerrang! have stolen it for this weeks issue, albeit in a more over-the-top manner as usual. 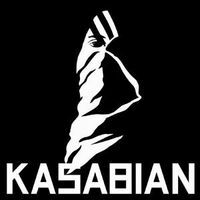 And so on to numero six, an album which at the time crept onto the scene almost unnoticed, only to gradually increase the new band with a funny name: Kasabian. Though they weren’t the first ‘indie’ band, a title claimed by another contender who I will get to, they were the first band to make electronic-inspired indie rock and roll cool again, something the Killers continued in a poppier vein. Their self-titled debut remains a thrilling mix of driving basslines and choral vocals, making the band an immediate live hit as well as a favourite for advert makers everywhere, with epic album opener Club Foot gracing screens the world over. The album has a song, not for every occasion, but enough variety to ensure listening through the CD won’t make your eyes glaze over or think the songs sound too ‘samey’. The standout track is Reason is Treason, a blistering combination of thumping drums and driving bass coupled with a brilliantly crafted chorus makes the song impossible to shake from your mind. The overall quality of the album is what puts this above mediocre follow-up Empire, which may have had more commercially successful singles, but there’s no denying they sounded very similar. Whether you want to chill out or rave there are songs for you here and the musical arrangement is impressively daring for a first album, shame their later albums couldn’t recapture their initial spark of originality. The seventh entry to the list is another well-know band, Arctic Monkeys, with their debut Whatever They Say I Am, It’s What I’m Not. The reason for this album making the list is three fold: first off, the album is actually good. When you forget about the hype and the band and everything surrounding it there are decent songs with a fun message and an instantly relatable lyrical style (particularly if you’re a Northerner). Secondly, the internet aspect of the Monkey’s – no, not the Monkees – rise to fame was unprecedented at the time. This is before Myspace was spewing out a band a week and the group went from unknowns to headling the Reading Festival main stage in a year, a daunting prospect for anyone. Thirdly, statistics (in this case at least), don’t lie. The album surpassed Oasis’ Definitely Maybe as the fastest-selling British album of all time when their second single I Bet You Look Good On The Dancefloor. The album shifted 360,000 copies in a week – that’s almost 36 every minute – and sold more than the rest of the top 20 combined, eventually going Platinum four times over. People heralded them as having as much impact as the Beatles, clearly a foolish brag even at the time, but undoubtedly the release was an event for the British music industry and unusually the music justifies all the fuss. 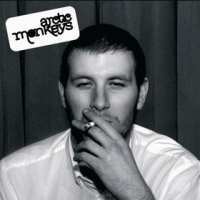 Tracks have a gritty down-to-Earth story element to them, such as Red Light Indicates Doors are Secure which is nothing more than a trip home in a taxi after a night out, but leading man Alex Turners bring it to life, and not in the cheesy way we’ve come to expect from the pop charts. 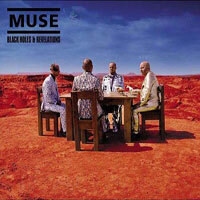 Another slice of British rock takes the stage at number eight with the long overdue induction of Muse to the list with Black Holes and Revelations. Undeniably one of the heavyweights, Muse have shaken their Radiohead-inspired routes and become a band all of their own. It was a close race between BH&R and Absolution, but in the end the cohesion of BH&R as an album wins the day for me, from the blissful melody of Starlight, the angered stampede that is Assassin to the air guitarist’s dream that is THAT riff in Knights of Cydonia. The album brings together Muse’s best elements, which is why it works so well, and also provides the band with a number of impressive live songs, something which always enhance an albums impact, as was proven with the HAARP live CD/DVD. What makes the album so special is that despite the fact it’s undeniably a Muse album, there are songs which could easily slip into other bands’ albums, particularly the B-sides packaged with the singles such as Crying Shame which has a strong Franz Ferdinand vibe. The album tracks too share this variety, with the apocalyptic Map of the Problematique being juxtaposed by the quiet and heart-felt Soldier’s Poem. Overall though the album is energetic, and the trio’s musical skill has clearly reached a peak, though the album doesn’t quite seem complete without the standard Sergei Rachmaninov-inspired piano interlude. If you could swap the dreary Hoodoo for the fiery Butterflies and Hurricaines the album would be near-perfect. As it is, the choppy changes in style may detract from listening to it all the way through, but when considered individually the tracks all hold their own and with a general standard so high it’s acceptable that the band may have missed the mark with a song (or two, depending on who you ask). 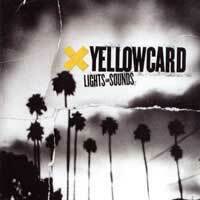 Now we return to the less well-knowns as we near the end of our list with Lights and Sounds from pop/punk specialists Yellowcard. Dismissed as a gimmick when they first broke through with Ocean Avenue in 2003, the main talking point was, and still is to an extent, that the band has a electric violinist. This is considered something very unusual for pop/punk, but really these bands often synthesise violins and string arrangements so it’s not ground-breaking to have a permanent member who fills the role. What is significant is how it is used. Sean Mackin adds in violin sometimes so subtly it can hardly be noticed and other times it blazes over the top, carrying the song. It can completely change the dynamic of a song in seconds because it is used so well. In Lights and Sounds the violin work is the best of any of the band’s albums and it goes a long way to securing it a place on this list. The album’s blisteringly fast title track only makes such an impact because it follows the slow and tranquil string introduction that is Three Flights Up, and closing track Holly Wood Died trails off and back to a similar arrangement, giving it a cyclical feeling. The track which sets this album apart is tear-jerking ballad How I Go, which is centred around the story of Tim Burton film Big Fish. The use of strings here is nothing short of genius, and unprecedented for a pop/punk band before or since, the band achieve real depth and feeling, helped along by guest vocals from Dixie Chicks lead singer Natalie Maines. The interplay of melodies between here and lead vocalist Ryan Key is truly astonishing. The album is centred around fictional character Holly Wood who is both loved and hated in songs on the album and serves as the anchor to pull the songs together. The device is just sutble enough not to be noticed unless you look for it, and yet when you do you appreciate how well it works to keep the album cohesive. Yellowcard came of age with this album, and it deserved more sales and critical success than it got, but that was to be expected after the success of their breakthrough effort, which, though a decent album in it’s own right, doesn’t reach the levels of excellence this album does. As a matter of fact I do, but the album which that constant radio spam single came from, Not Accepted Anywhere, is not the album that made the list. Instead, it’s the band’s follow-up, This is a Fix, which deserves the praise. 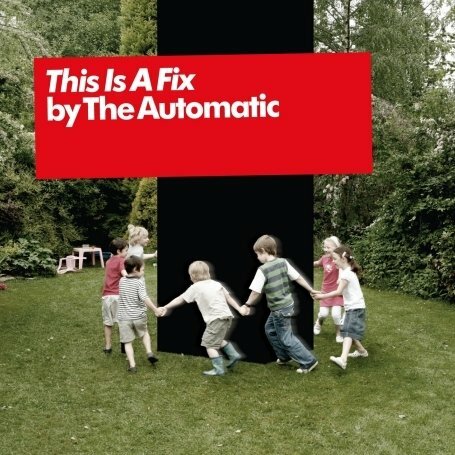 While their debut gave people a reason to have heard of The Automatic, it wasn’t the limit of their potential. This is a Fix goes further and holds together better, you only need to look at the band’s live performances during their early days to see the cracks were beginning to show by the time Monster became a hit. Wailing keyboardist Alex Pennie parted ways with the band in 2007 after he found “the last year increasingly unenjoyable and growing apart from the rest of the band”, according to an official statement. With Pennie gone the band could focus on the new album and it seems without the friction they developed as a group and created their best material to date. They replaced their departed keyboardist with Paul Mullen from Yourcodenameis:Milo, since they were on hiatus, and recorded This is a Fix to be released in August 2008 just after the Reading and Leeds festivals. The album’s lead single, Steve McQueen, reached number 16 in the charts but all other singles and releases from the album were pulled after disappointing sales. Critically the album was hit and miss, and suffered from high profile slating from the likes of The Guardian despite favourable reviews from Kerrang! and Rock Sound. The band were quick to cut their losses and move on to album three, but the songs themselves are worth taking the time to listen to, since everyone is a prime example how synth pop/rock can be done well in the 21st century. The music industry attacking Accessories voices the band’s cynicism about music in Britain, and Magazines slates journalists in much the same vein, but despite the similar subjects the songs are quite different and distinct, which is one of the strengths of the album overall. All of these are albums which demand a listen, if not a privileged spot in your CD (or download) library.